Cyrellys Geibhendach. The following is the latest in an ongoing discussion about the roots of American philosophy (Founders) and our Christianity. It shows the powers in the proverbial cookie-jar at the start and some of what has resulted ultimately in our modern circumstances. There are other pieces I’ve written as responses in the dialogs which are not included here as yet. Hopefully I will at some point get back and retrieve them for posting here. David: There was no Christianity in 37 ad. None! There was only ‘the fourth way’ of a massive movement, remarked on by Josephus, and led by Jesus and his family. His relatives were all the so called disciples, and that means James, John called the Baptist, their cousin, Judas and the other brothers and sisters. As far as Ireland goes of course Canaanites had been coming there as well as England, France and Spain for the tin and copper for at least 1000 years, if not much longer. But those people were Cananites, not Jews at all. They did not exist at the time and indeed not until the Babylonian exile. You are quoting the state of knowledge as of the 1970s – this falls under ‘intellectual hair-splitting’. But if you must know:“The traditions of the apostolic foundation of Christianity in Britain are deeply rooted in popular memory, and were repeated by the people of Somerset into modern time. “they are supported by the evidence of Tertullian and Origen writing in the Second Century and again in the Sixth Century, the historian St. Gildas declared that Britain was first illuminated by the light of ‘Christ the True Sun’ in the latter part of the reign of Tiberius Caesar, who died in the year 37 AD.” From the Myth of St. Patrick & Christianity in Ireland pg 143, by George Richards. Gildas who quoted Origen. There is a mixed level of information available to most public schools, universities, and church orgs. Newer historical information is only now surfacing thanks to more modern tools for comparison and cross-referencing. If you take a look at the first century document the Didache which is an excellent example insofar as this discussion goes and you compare it to the Counsels of Cormac (New Translation by Thomas Cleary, based on recent updates to our academic understanding of the Old Irish Language) you will find some remarkable similarities. Cormac reportedly died wanting a Christian burial but the established academia only counts the presence of Christianity in Ireland from the fourth century not the third. Our understanding of history is riddled with these established inconsistencies which scholars unaffiliated with the mainstream establishment are going back and sorting out and surprisingly returning with a pile of new discoveries. Essentially doing the job the universities were once tasked with doing about 60+ years ago. In 37 AD Christianity was in its infancy. The original generation was alive and kicking. Many of the ‘relatives’ themselves had students who in turn took to doing some traveling because in that time there were interactive discourses occurring between them and the intelligensia of Greece and Rome. Not only in Greece and Rome but also in Jerusalem and in Alexandria both powerful seats of intellectual learning and debates. The Greek method of Socratic style teaching was widespread and also occurred in these places. The learning and teaching infrastructure in first and second century became very hierarchical and there were literal fights and arrests made of individuals who partook to teaching or debating in the streets without ‘permission’. QUOTE: The tradition of the rabbis grew out of influential debates over interpretation of the law between Hillel and Shammai and their followers. Hillel (70 BCE – 10 CE) was a liberal teacher in Jerusalem who emphasized personal piety and a concern for others in his teachings. His central teachings, grounded in a love both of peace and of study, anticipated and influenced the teachings of another early Jewish teacher, Jesus. Shammai (50 BCE-30 CE) represented a stricter, more conservative attitude toward the law. Because he was a leader of the Sanhedrin his views probably dominated during the years leading up to the destruction of Jerusalem; afterward those of Hillel achieved greater currency. — pg 139 book ENDURING LEGACIES: Ancient and Medieval Cultures, Second Edition by Phillip C. Boardman, ch: Pirke Avot. See also Church of Jerusalem. QUOTE: (same source: pg 128) Tacitus was a senator who turned to the writing of history during the reigns of the ‘good emperors’ in the second century, when it was again possible to write freely and critically of the empire. Writing about the great period of colonial expansion, Tacitus studied closely the enemies of Rome. Because he was intent on exposing the corruption of emperors like Nero, he was willing to look at the cultures and practices of the Jews or the German tribes and praise their integrity where he found it, especially in contrast to Roman failures. The groups that Tacitus described — the Jews, the Christians, the Germans — developed in important ways….Christianity rode with travelers, Roman soldiers, and other converts to all parts of the empire, becoming at the same time a convenient scapegoat for emperors like Nero. Yet when Rome collapsed a skeleton of Roman Christianity was left standing. Judaism responded to Roman attempts to destroy its heart in Jerusalem by strengthening the preservation of its learning and tradition through rabbis at the periphery. QUOTE: “whatever has been uttered aright by any men in any place belongs to us Christians!” — Justin. Excerpt CH 54 pg 430: To the intellectuals of the Greco-Roman world early Christianity appeared to be just another mystery cult of interest only to the uneducated lower classes; in the words of Tacitus, it was a ‘pernicious superstition,’ particularly unattractive because of its ‘hatred for the whole human race’. On the other hand, the earliest Christians were equally hostile to pagan philosophy, and they agreed with St. Paul that God had ‘made foolish the wisdom of the world’. Before Christianity could spread triumphantly through the whole classical world, taking into its fold men on all levels of learning, some solution to the conflict had to be achieved. We have seen that in the early Roman Empire Greek philosophy, notably Stoicism and a revived Platonism, became increasingly imbued with religious values; consequently, when men trained in Greek learning began to accept Christianity, an amalgamation of philosophy and Christianity was not difficult to bring about. This process the work of intellectual Christians known as Apologists and Church Fathers, began in the second century in the more Christian East and culminated in the work of St. Augustine at the end of the fourth century in the West. Various methods were used in giving an intellectual tone to Christianity. The personal God of the Jews and Christians was identified with the abstract god of the Greek philosophers (note: and same description for Druidic!) — a pure, invisible, incorporeal intelligence. The literal interpretation of the Old Testament was replaced by an allegorical one in which a deeper symbolical and spiritual meaning was found to lie behind the simple words of the text. Biblical truth wrote Origen, one of the outstanding third-century Greek Apologists, “is sometimes conveyed in what one might call literal falsehood.” Above all, use was made of the Logos doctrine, which explained how God was the source of all truth, both pagan and Christian. 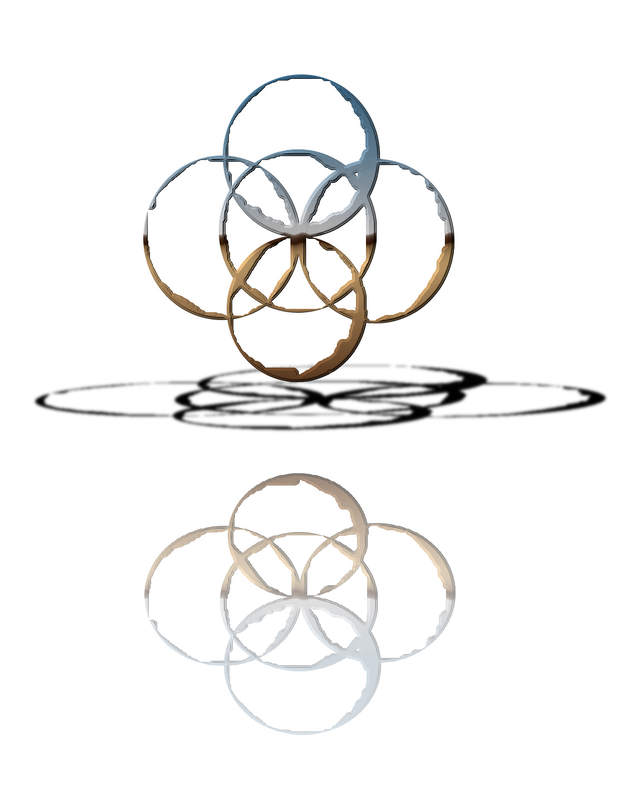 “Logos” was a term used in Greek philosophy to signify the powers of reason. It translated variously as ‘word’, ‘argument,’ and ‘reason’. Plato and other Greek thinkers referred to the Logos as eternal and divine, and the Christian Apologists adopted the term for the divine principle regulating all things and bridging the gap between God and man. They taught that the Logos (reason) of the Greek philosophers was one means by which God sought to enlighten and save mankind, but that when this attempt failed He then sent the Logos in the form of his Only Begotten Son, Jesus. “thus philosophy was a preparation,” wrote Clement, Origen’s predecessor as head of the Christian school at Alexandria, “paving the way towards perfection in Christ”. The Celts of Gaul, Ireland and Britain already had a congruency with the teaching of Pythagoras that believed in the ‘immortality of the soul’. I’ve quoted Diodorus, Strabo, and others on the pre-Christian Celts previously in other emails to this group. The Drui also had a tonsure prior to any monasticism called airbacc giunnae. The word ‘mael‘ means bald and equally implies a title of tonsured. Later Christian Irish and Latin terms for it include: berrad mog and tonsura civilis. This form of tonsure involved a shaving at the front of the head, on a line from ear to ear, with the hair growing long at the back. In the fourth and fifth centuries this tonsure which was accepted practice by the later Celtic Christians came under heavy criticism from the Roman Church as being incorrect even though it predated all Roman Church practices. According to the Annals of Tigernach, the Roman tonsure (version) was not accepted at Iona until about 714 AD. Even beyond this time British Celts were still wearing the Celtic tonsure. Even the first Christian communities in Eire at Tallaght and Dairbre (modern Valentia in Kerry), the former which was later reformed and called the Cele De (Servant of God, i.e. Culdee) by Mael Ruain founder of a monastery there, are said to have worn the Celtic tonsure, their members wandering Scotland as late as the fourteenth century AD. Historically throughout the Indo-European world the tonsure was a mark of a dual caste member who was both belonging to a tribes warrior caste and to the intellectual or priestly caste. 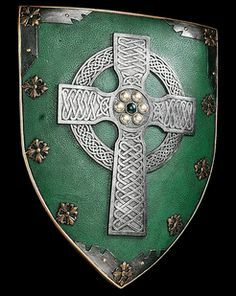 (google celtic culture stemming from Sanskrit) This can be seen in the time of the Breton king, Waroc’h II (c AD 577-594) who had certain champions who shaved their head with the same Druidic tonsure. Waroc’h successfully united Brittany against the attacks of the Franks. Colmcille was among the first to practice conscription as a form of intellectual violence in the Isles…see the scuffle at the fountain in Bruide, where Colmcille subsequently ‘blessed the fountain’ and harnessed it for Christianity, as part of a magical contest between him and a Drui named Broichan. Just as the Roman Empire’s Christians turned to the Greek philosophers for legitimating their doctrines — so to was the more northern version Celtic Christianity using the Celtic academic establishment(drui) to lend their own issues credence (none of these people resided in bottles! always was there cross-referencing and modification from the root cultures within their reach): “Nennius who wrote Historia Britonnum (History of the Britons), about AD 829 using older documents, devoted 18 chapters to the career of Vortigern d. 458 AD (Vawr tigern, overlord – Ellis), the king of southern Britain in the wake of the Roman departure in the mid-fifth century AD He says that when St Germanus of Auxerre excommunicated Vortigern for adhering to Pelagian heresy, Vortigern engaged twelve druids to advise him.” Pelagianism is nothing more than a pigeon-hole term for Celtic Christianity with its Drui roots. *Authors inserted note: The Jerusalem Church set up a church infrastructure in which 12 representatives or Fathers essentially led each membership. When they sent out missionaries it was in groups of 12 individuals. Celtic Christianity was organized in the methodology of the Jerusalem Church. At the death of the king Gradlon in Brittany, a monk approaches the king as he lies in his final moments and finds a Druid there. The king admonishes the monk to not be harsh with the Drui, “the ills I have endured (in life) are as to nothing to the agonies through which he has passed.” After Gradlon dies a dialog commences between the Drui and the Monk…as the body of Gradlon is washed in a nearby spring and wrapped in linen the Drui turns and addresses Guenole the Monk as “brother, for are we not sprung from common ancestors?” The Drui asks Guenole to raise a church ‘to the Sorrowful Mother of your God’ on the spot, so that sick persons might find health and the ‘heavy laden, peace’. He then tells Guenole, “there was once a time, I was young then, when a block of red granite stood here (beside the spring). Its touch gave sight to the blind, hearing to the deaf, hope to hearts in distress. May the sanctuary that you raise inherit the same virtues (of the old ways – note today we inherit ‘nature and natures God; nature’s laws! 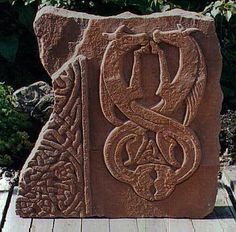 and other pelagian principles and Celtic virtues); it is my wish, the wish of one conquered but resigned to the changing order of the times, one who feels neither bitterness nor hatred. I have spoken.” We are told that Guenole felt great sympathy for the Drui in spite of the brief theological argument when the Christian Saint offered to teach him ‘the Word of Life’ (Didache) and was rejected by the Drui who pointed to the blue sky, observed that when the time came for one or the other to pass, either one might find ‘perchance there is nothing but a great mistake’. Guenole was scandalised. ‘To believe is to know, ‘ he argued in Christian fashion. His compassion for the Drui leads him to offer him refuge in the abbey at Landevennec. The Drui declines saying he prefers his woodland paths. ‘Do not all tracks lead to the same great centre?‘ It is a philosophy that our modern intolerant world finds difficult to accept. — Ellis. 1994. ~ A Response to Randy Conway’s: Can Anyone Tell Me Where America Has Gone? Can anyone tell me where has America gone? I can’t seem to find her. Has she gone away? Can anyone tell me where America has gone? All that was familiar seems now so far away. Dear Randy. I can tell you where America has gone. She has not gone away. But you will not find her in the halls of governance, as you in your piece infer. America was never a government or about government. Government is only a consequence; a hobgoblin which trails along after our shadow. Please do not mistake government as America. The Constitution was created to rein in government; to keep it small and sane. It is not surprising that government, having taken on a life of its own, escapes its bounds contradicting all restraint upon it. It’s foolish consistency is why we retain the right to ourselves to cleans it of that consistency in times when its decor and profanity becomes intolerable; when it wages illicit war in our name; when it steals from our our children; when it works to cause more harm than good. It is a mistake to assume our depth of silence as an absence of integrity and courage. This assumption blurs the record of our character. No man can violate his nature. Always scorn appearances. If the nature of governance appeals to a lack of integrity and courage, assures that nature by extensive use of tyranny then it illustrates a division in the population, for a good nature will gravitate to structures of virtue and where none longer lay in scattered, motifs will stand in stoic solitude. Therefore the America you seek is not to be found in or near government despite its claim to represent our people. A man of integrity and courage needs no one to represent him, for he stands at the fore of society in every individual endeavor and many collective applications. If you cannot find him in governance it is because he has abandoned the company of dissonant men who inhabit it. It does not mean he, himself does not exist! We are here. If every true man is a cause then it is true he is also a country in and of itself. A man of honor can be found by his small deeds moreso than his great ones. Great ones are happy accidents, where the small are frequent, more illustrative works of soul effort. Step away from your perusal of titled representatives. Walk among the silent ones in your community. Look left and right upon the small deeds and more thoroughly consider those. Small deeds accumulate a soul credit that few great deeds can achieve. Modern men like to focus upon the spectacular and rate all else against that quality, missing where the original acts of gentlmen uphold the true virtues of society. We are here. Come with me into the fields and factories; into the coffee shops and retail stores; into libraries and toolers; into laboratories and garages, into classrooms, offices, and kitchens. It is in the places we devote our time to. These small gardens of human endeavor and character, where the twitch of a lace cover or the steady hand over a sample upon which an accurate diagnoses depends, holds within each a spirit not recently acknowledged. When acknowledgement falters for gravitation to a more demanding crisis, this does not negate the existence of the other. It is in the small things that life resides. All else are distractions. I remember when the unsightly was kept unseen. We are here. A raving lunatic is just that — a demonstration of no restraint. Does lunacy in one man or ten men, define the whole? Which is worse, seeing a lunatic pass by or the man who assumes by proximity all men are the same? The frequency of the unsightly has always been there, but never before have we been expected to be our brother’s keeper. Could it be the attribution of responsibility is what has changed? As a population increases, so too does the number of lunatics increase. Like gravitates to like until it reaches intolerable levels in any given space. Some philosophies will teach the young to judge a society by its worst members. If this is true then the cup of life will ever be half empty rather than half full. Is this the way you would proceed? Let’s instead entertain a greater force of character in a light united, bypassing the loudness of the unsightly, for if it cannot garner the attention lunacy seeks then it will be more likely to choose a more productive path which WE steer by not giving the unsightly a time of day. Turn not your head toward lunacy for this sanctions it; qualifies its acts; and promotes it, producing more. This promotion has a great deal to do with why there is so much present at this time…many have forgotten that what you promote, you gain. I can’t seem to find her. She is now a long forgotten song. Now it seems the government is elite and we are but the sheeple. We are here. You have sat on the terrace at a lonely table. We are not the government. We however do recognize its condition and acknowledge your frustration. We have ever been near; these other tables you have yet to notice. Come among us and take not your instruction from would-be kings. The original scale of men and of things, upon which true America was built, yet resides here beside us, for we are IT. In your perception of the battle we have not yet weighed in. Come away from the corruption and join our more ancient sight. Do not pay the corruption with money or honor but rather stand in your own and represent integrity, law, and justice in the protection of the rights of every man. Join us. Be what you seek. If we are silent it is for the strength we project; liberty is a fiercely silent hunter. These things you seek need no fanfare upon a mountain, for they are vibrant light; an essence of genius, of virtue, and life. Judge me not by my governors. Had you come directly to me, you’re experience would be different. Had the vets come to the same physicians who service America rather than the governors, their experience would be different. It is important that each man studies carefully the merits of the paths laid by others. Any path taken willy-nilly without thorough consideration is likely to land you in quick-sand. What power has a governor who can garner no followers upon the path he lays? Bring away, from those who spy and who discard the just due; bring away those men suffering and set them among us that they may be more properly attended. Gather together the virtues so seemingly lacking and administer them freely, to the best of any meager or vast ability you can muster. This is the contradiction to every evil! In so doing we reset the product of our shared conformity. Be what is necessary. This is where I, America, am to be found. Are there any left who for righteousness still long? We are here. The NWO cannot compare to us. But it attempts to circumscribe our position. Place not upon us limitations of style or good time. Place not upon us limitations of gender. Place not upon us limitations of denomination. Place not upon us limitations of size nor shape. We have listened to the recent patriots on the shield wall and our offers of assistance have been met with every imaginable condition which has wittled that offer down until precious little was left. The exhaustion you experience is one of your own making. Expect not the square to match the circle…we are each unique and it was in the ancient past that very uniqueness which first brought us together and built a nation. Scorn not the anonymous child of the ancient Celt; that long lost drui whose verbal record and private libraries first brought you shared recognition of Natures God despite the name not clothed in the same precise southern terminology of the biblical Christ. They are one in the same. The founders knew this. Yet this has been forgotten. The justice you so adore was once the wisdom of the old Brehons, who held civilization not hundreds but thousands of years in the minds of the People, after the fashion they were first bound in service to do, but you insist on changing our history and heritage in thoughtless breaths, to attributions of latter-day illumined paganized dabbling in ritualism, or conscript it to claim it hebrew, based on a theory which claims theological ownership of “dan” spread across place names from Turkey to Eire, when our history is a western history instead. How is it you can praise the scholarship of our founders in one breath and cherry-pick it in the next? We were once united, the Celtic and the Christian. Yet I have heard this scorn, and so you walk alone. It is not entirely your fault for the desire of peaceful anonymity denied you the alternative histories, and now you travel, your lives burdened by the palatable histories of the Illumined with its confusion and endless questions that carry no answer. Seek not opinion, but rather truth. And whatever you find, give it the grace of opportunity to stand on its own or fall aside. The many groups and individuals who comprised the founding of this nation brought all the elements of the best of mankind’s ancient and classical world-view, history, belief and culture together to assemble a nation based on those commonalities to stand as a structure designed to guard the potential, that greater excellence, in each individual the same as the collected whole. You rightly seek the restoration of the image, the supporting construct and the shared intent, yet in the next breath you scorn the broader components, failing to acknowledge their presence and necessary contribution. Scorn not the worker in his fullness of time. Though his freedom from the endless quest of earnings is small, it is within him the personal integrity, and ethic of honest work for honest pay resides. His is the construction of survival; the products upon which once better matters may be reconstructed. Yet I have heard this scorn, and so you walk alone. Scorn not the artist nor the academic in their illustration. It is through the creativity and mechanics of logic, bridges are built and new innovations bring wealth and prosperity to a people. To any fight these intellectuals bring wisdom and improbable sucess. Yet I have heard this scorn, and so you walk alone. Scorn not the craftsman whose martial experience and paradigm knowledge is nill. He can see the dissonance in America by those without integrity or honor. He is not oblivious. But his is the hammer and the drill to build with skills you have not asked for. You assume his ignornance, and by assumption alone you cause offense. I have heard this scorn, and so you walk alone. Scorn not the woman whose ‘place’ you callously describe as the slave of your every necessity. Her endurance is greater; her patience is greater; and her fury is unmatchable in creativity and ferocity. I have heard this scorn, and so you walk alone. Scorn not the youth in his thoughtless vigor and inexperience. Ignorance is more a consequence of lack of good teachers than it is an inequity of the portrayer. For every finger you point in complaint three face back at the origin. Yet I have heard this scorn, and so you walk alone. Scorn not the elder in his memories. He may shy from the crack of brass in iron, or be slow to come to the fore, but what he has stowed in that lifetime of circumstances is a treasure you will be forced to win once more if you pass it by. He is a wealth in and of itself, and no finer teacher can be had. Yet I have heard this scorn, and so you walk alone. Allow us to assist, and when necessary lead, and we will infuse your cause with fresh energy, for it is a just cause. Take off the habit of conditions, and swing wide the door. We are here. America consists of more than men who speak. The vast majority are the silent ones, why do you not recognize this? When will you accept who we are? These are the so-called sleepers whose part the watchmen on the wall would exclude. I could call them to arms tomorrow, but they will not go where they are not wanted, and you cannot have one without accepting all for we are America. Why do you require a black robe regiment in the first place? Why do you require the services of a second parent? Can you not provide for yourself truth, in this time of tremendous tools and capabilities, by study and by discovery? Can you not make good utilization of your own direct connection to the one true God of all creation? Why do you seek that which you are already capable of? Stand up man! God gave you two legs, two hands, and a mind of your own with eyes to see! Use them and seek not your sustenance at the hand of some other! This concept of American which you have been bequeathed was built by men who stood upon their own two feet and applied themselves as I have bid you to do. It will only be regained in that same manner. Begin today, and you will begin to rediscover that which you seek. You were never alone, nor are you now. America is the habitation of lies and the home of fraud. The corruption of government not withstanding, the larger body of the people are very much one nation under God. Each person has slipped away from Churches that recite policy rather than teach truth and has taken in hand that individual path the Source has laid before each. How can any person judge a body of God’s children solely by institutions? Is it the dischord of the judge or the noise of the empty hearted? America has never ceased to exist. She was and still is a compilation of the people. Yet you address the structures and the government rather than they; rather than us. Come away from the dischord and see us. We are here. Because the demise of our way of life is now dangerously imminent. Yes the watchmen have been pouring everything they have into their effort. And so too is it true that our way of life is imperiled. However, it is a mistake to assume we do not see this or that opposition is not in play. A great wave sits poised over corruption. It continues unabated ensuring the judgment of its People. When we rise there will be no mistaking the cause. The Rising will be a consequence of deviation from the nature laid out for this nation. Such a rising was seen by our founders as an inevitability and provided for in our founding documents. But it was also laid out with the understanding that it was an action of last resort. Thus the feared demise and a rising, travel the same path. They may only be seen in the same paradigm. Where is America? We are America, as are you. And in any battle it is for us to choose the time and place, not the enemy we decry. If we step to the side as the sword of the lesser contestant sings past our head, it is because we hold the greater skill and the greater cause. This is not evidence of extinction. Where is America? Seek us not in the hand of the enemy but rather in the genius of the silence. We are here. I stood about 40 feet next to the bummer man in Reno, NV when he was running for President back in 2008. He emphasized he would restore our Constitutional rights and prosecute all of Bush’s war criminals for crimes against humanity according to the Nuremberg Accords, which the US is a signatory to. Sure, yeah, right. Bummer has become a war criminal himself and has continued with the practice of torture and waging war on women and children by remote controlled drones. Now he has covered up most of Bush’s crimes, and furthermore has declined to prosecute contrary to his campaign promises any of Bush’s officials who perpetrated torture and war crimes. Is it any wonder that we are now the most despised nation on earth? And that our government is a Mafia government with the wise guys putting the fix in at every conceivable level? Cyrellys Geibhendach. America is a Constitutional Republic NOT a democracy. Many people forget there is a distinct difference. A Constitutional Republic places restrictions upon democracy that is reasonable. A nation founded upon Constitutional principles enshrined within the founding document which defined the conditions upon which our nations states agreed to become a union, risks voiding the contract between the States when it violates the contents and intent of its national Constitution, just as it does when the national structure violates or disregards the constitutions of any individual state. On December 11 of 2014, the Seattle Times not only reported that the State of Washington flushed an integral chunk of our nation’s contract, the 2nd Amendment of the US Constitution, but it also described in its editorial statement how it itself approved of the flushing in an incredible example of absolute Statism. Statism is the belief that the state should control either economic or social policy, or both, to some degree. It is one of the foundations of Communism. To promote or uphold statism is the definition of being a statist, which is a very ugly term when living within a Constitutional Republic. Since when is the US Constitution and the rights it recognizes, negotiable by the States? It isn’t, without breaking the contract. A “restatement of the compact” cannot be done without a formal alteration of the US Constitution. That would require a Constitutional Convention of the States of the Union. So when did Washington State host a Constitutional Convention? Funny but it seems none of the other states agreed to such a Convention, nor were they invited to Washington State’s shin-dig. Washington state took it upon itself to nullify the US Constitution and create in the whole of the nation a Constitutional Crisis…not that one didn’t already exist with Obama violating it every time he turns around. The man is re-inventing the direct-offense-wheel, once referred to by grade schoolers as ‘go sit and spin‘. That’s the same John Kerry who along with Senator McCain made trips to the Ukraine which resulted in US sponsored regime change which they later blamed on Russia. And as we know from prior dialogs posted to this site, the general research consensus is that not only is Obama a sock puppet of colossal proportions, but both Kerry and McCain are well known deep state actors for the US Shadow Government as it moves out into the open supplanting elected surface government. Ref. Catherine Austin Fitts. Ron Paul in his recent address on the Congressional Resolution defaming Russia, which can and probably will be seen in the international relations venue as a total fiasco at least or an act of war at worst, mentioned the money that was spent on regime change in Russia. One might wonder if the statists who are also generally-speaking supporters of the NWO pursuit of ‘no borders’ or ‘open borders’ and global government which current incarnation is for the corporations and transnational central banks by the corporations and transnational central banks rather than for or of any flesh and blood people; one might wonder if they deliberately devised this little bit of irony as a ‘back-in-your-face’ of the Celtic roots of the Pacific Northwest? Would it be far from imagining they would strive to impinge upon Celtic Virtues and the celtic contribution of Nature’s God and natural rights by stripping the US Constitution down to its skivvies right in the heart of Celt Country? This Old Irish American didn’t find it amusing. There is no part of our natural rights and obligations as citizens according to the Constitution that is negotiable. What part of “shall not be infringed,” didn’t make sense to Washington State or the Seattle Times? My father once said, that anyone who doesn’t like this nation as it is should pack up their bucket of rocks and ship out to some other country and try their luck there. Well it gets better yet. Not only are the Statists laying their grubby hands on our liberties and rights, but the bureaucratic terrorists are also moving on violating our health with allowing their compadre’s their depopulation meme’s via an intent to release GM modified mosquitoes. ZOONOTIC AND OR INSECT BORN DISEASES’ ARE THE PERFECT CARRIERS FOR PROPAGATING BIOLOGIC WARFARE AGENTS RELEASED WITH GM MODIFIED INSECTS! We already have a variety of mosquito born diseases plaguing us such as West Nile Virus. These right on the heels of Ebola which btw hasn’t actually ceased…it’s just not being reported by the media which these days has an attention span shorter than a three year old. What a way to spread something like Ebola and goodness knows what else, far beyond any ability to contain? It might be easy to swallow a suggestion of coincidink if it weren’t for having patterns traceable to a disturbing number of these various actors illustrating an effort to emminitize the eschaton (Book of Revelations or a parallel track). NOTE: Emminetizing the Eschaton is about creating the circumstances of Revelations final war and all that goes with it. 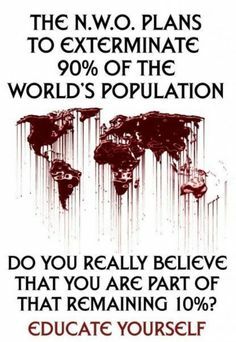 It is the cover for global depopulation by the Eugenics crowd. —name withheld—- has been involved in the academic theology-building to justify or establish a public-usable version of content supporting an Eschaton. He was making statements in dialogs with a —- name withheld —— and other associates on his blog at ——- at this time, about the Eschaton. He’s a theoretical physicist and philosophical heretic with a reach that extends not only into the exotic end of academia but also into the environmental movement and evangelical christian community while ————– mentioned above has had visits to the Vatican. Ref. email 12/08/2014 synopsis on the Ukraine/Russia crisis – forward, backward, and beneath the table. CALIFORNIA GOVERNOR JERRY ‘MOONBEAM’ BROWN SIGNS LAW FORCING STUDENTS TO LEARN ‘GAY HISTORY’ IN PUBLIC SCHOOLS!